From the managing director to a teaching artist to a scriptwriter to Oscar Madison, Hope College alumni (and current students too!) 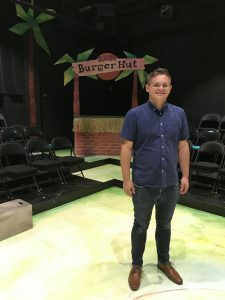 have been making their mark on this year’s highly entertaining and successful season of Hope Summer Repertory Theatre. 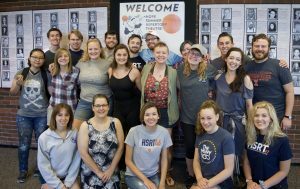 This is not a new phenomenon; Hope theatre majors and professionals have long had great representation behind and on the HSRT stage. 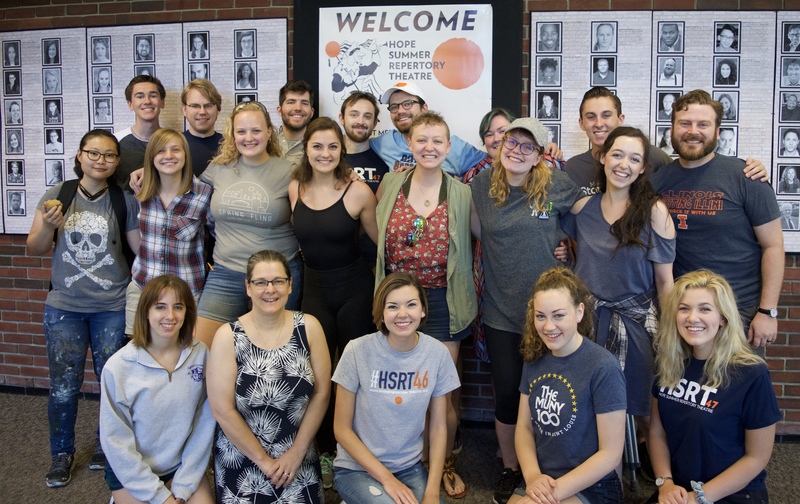 But this year, HSRT’s 47th, 23 Hope students and alums make up almost 20 percent of the company. Longtime HSRT cast member Chip Duford ’90 and relative HSRT newcomer Mollie Murk ’16 share Bakker’s sentiments. Though two-and-a-half decades separate their Hope educational experiences, a common thread of Hope educational appreciation runs between them. 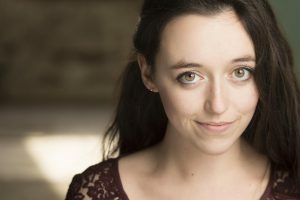 Both started at HSRT as acting interns and both now are members of its professional ranks — Duford, in his 25th season with HSRT, is an Actor’s Equity performer and Murk, in her third, is the head of education. 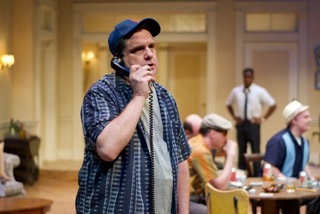 Chip Duford as Oscar Madison in The Odd Couple. Duford started out as a pre-med major at Hope, but “that lasted three seconds I think,” he laughs. 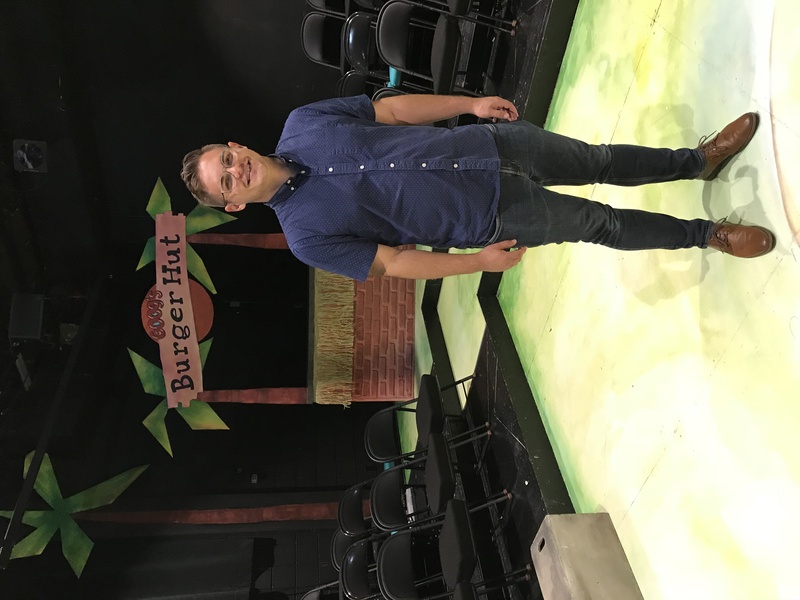 He received great encouragement from professor emeritus Dr. John Tammi and visiting visiting HSRT Shakespeare and voice coach, Peggy Loft, formerly of the Juilliard School, to consider a career in theatre after he performed in several Hope productions as an undergrad. By his junior year, it was official; he was a theatre major and interning for HSRT. “I feel like I was able to discover myself at Hope,” says Duford. Erik Durham on the set of Dragon Pack Snack Attack. HSRT has a few weeks to go, abut energy remains as strong and high as it did on opening night back on June 13. Hope affiliation aside, making beloved or new characters and stories come to life for two hours is the joy and challenge for anyone in cast and crew. For the audience, both forgetting and thinking about the world around them is imperative to well-performed and well-meaning theatre. HSRT ever has this in mind. Got tickets? Check out HSRT’s calendar and ticket availability.